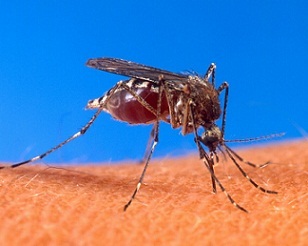 Banning Bites: Mosquito Extermination - Yes Pest Pros, Inc. Banning Bites: Mosquito Extermination - Yes Pest Pros, Inc. Nothing ruins your back yard quite like a mosquito problem. The fun of being outside in nice weather is destroyed when you’re swatting at nearly invisible foes and suffering with itchy, red bites. When you consider the diseases that these nasty biters carry, they go from unpleasant to rather frightening. Not to worry, some pest extermination companies can handle mosquito control. Mosquitos need water to breed. Not just any water source will do. They need very slow moving, still or stagnant water to lay eggs. In a pinch, wet soil and leaf litter will do as well. Cutting off breeding sites will help curb the populations on your property. Clean your gutters and downspouts. They can collect rainwater if clogged, creating breeding conditions. Chlorinate your pool before leaving on vacation or have someone check it while you’re gone. An under-chlorinated pool can become a mosquito hatchery in a week or two. Ventilate garbage cans and recycling bins. Drill holes in the bottom to allow water to flow out. Stock ponds and water features with mosquito-eating fish. Dump anything that holds water for more than two days. This includes bird baths and pet bowls. Adult mosquitos usually rest during the heat of the day and become active in the early morning and evening. They look for tall grass and weeds for resting places. Keeping your lawn clipped short is one easy method of pest control. Don’t let weeds run wild, either. This will limit the number of places adult mosquitos can hide and force them to take up residence in more hospitable places. There are lots of wives tales about how to manage mosquitos without the help of a professional exterminator. Unfortunately, not many of them are true. Citrosa plants have not been shown to work against mosquitos and neither do “bug zappers”. Citronella oil and candles may help somewhat in windless conditions. Bats do eat mosquitos and so do purple martins but not in sufficient quantities to eliminate an infestation. Talk to a Bloomington pest control agent about methods for mosquito abatement that do work. You’ll be glad you did next time you want to enjoy the back yard.